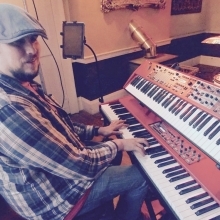 Matt Ratcliffe is an accomplished jazz pianist and a regular performer with his own trio and in other bands across the U.K. He is a graduate of Birmingham Conservatoireâ€™s highly regarded Jazz course and Director for Education and Participation at Derby Jazz. He leads Derby Jazz Foyer, a development group for young jazz musicians with Grade 6 and above, several of whom have progressed to jazz degree courses at the Royal Academy of Music and in Birmingham and Leeds. He also runs PLAYJAZZ a monthly jazz workshop for adults at Derby University for Derby Jazz.